How to get team of java developers comfortable with ReactJs? Welcome to this week in /r/reactjs, where we read you the top stories of the week based the subreddit votes of 90,000 React developers. This podcast is never longer than 10 minutes, so lets get started. The React codebase uses feature flags that are turned on and off for all sorts of builds, for example building the react-dom and react native versions that most people use, as well as the alpha builds. 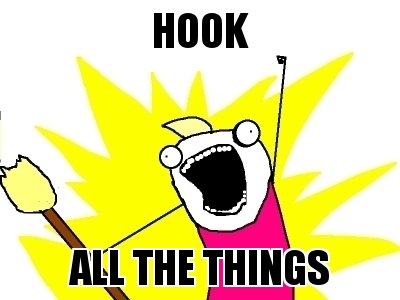 This PR by Brian Vaughn simply removes the feature flag which means Hooks will be standard in all builds. The comments were mostly celebrations so I won’t read them here but I appreciate all React memes. Relatedly, a React NYC talk by 9 year old React Developer Revel West was also posted this week. Wouldn’t it be great if Hooks made React so easy that any 9 year old could pick it up? There was a great follow up discussion about dependency injection and learning functional programming which you should check out if you ever felt like you needed to go deeper on that topic. This was a cry for help by user shyscope, who is the most junior dev on his team just a year out of college. He was asked to take lead on a React project, but the others on his team are Java devs all older than him by more than 10 years and are struggling especially with a lot of concepts in react-boilerplate. Make sure they understand the difference between React and Redux. As far as I’ve seen, most people who complain about React actually complain about Redux boilerplate, not React itself. What I saw in teams/developers coming from a fullstack background like this is they don’t actually understand SPA. I’d say start with mentality by comparing react to any other mobile app. Once you understand that, separation of concerns is easier and you understand better where react sits. Second step is to put typescript in. Those guys will love it . UI won’t be the ugly unpredictable js anymore. It is not open source but you can try the app in iOS testflight, and see a gif of the app in motion at the top of the thread. The developers also answered many questions about the details so check it out! This is the start of a long tutorial series with a fully open source end result for a Youtube frontend. User prodcoder said he would publish one tutorial per day at 3pm UTC so definitely come along for the ride. As a side note, it is very meta watching someone build Youtube inside youtube. This is a much simpler project than the other two - a static github page with the periodic table made with React and CSS Grid (and Science!) User tamalweb made this to flex their skills, but Because it was open source, user JayDP123 pointed out that they didn’t have to list out every single element individually - instead they could map over an array of data. This is a fascinating TypeScript-first fork of react-bulma-components after user Devin Fee faced some frustrations maintaining the typescript typings for react-bulma. Users compared this with Bloomer and Ant Design, as well as Bootstrap and SemanticUI. Devin gave really great responses for why use Bulma in the comments. Devin’s medium writeup also documented his problems with getting his build toolchain to work together and it should be very instructive for anyone looking to do the same.